At FPS we believe that a strong parent-school partnership is critical for a child’s successful development, hence we strive to work together with the parents from the very onset to enable them to make the best decisions for their child. We expect the parent community to be active stakeholders at FPS and we take concrete steps to foster this partnership which is based on trust, transparency and communication. We use multiple and holistic channels to communicate with our parent community and expect their full cooperation in return. FPS Connect is also available as a Smartphone app which enables parents to monitor their child’s progress at the touch of their fingertips. The app can be downloaded via the Apple Store on IOS devices, and Play Store on Android devices. With the app, parents can receive all important information and updates about the school and their child’s performance by a simple push of a button. 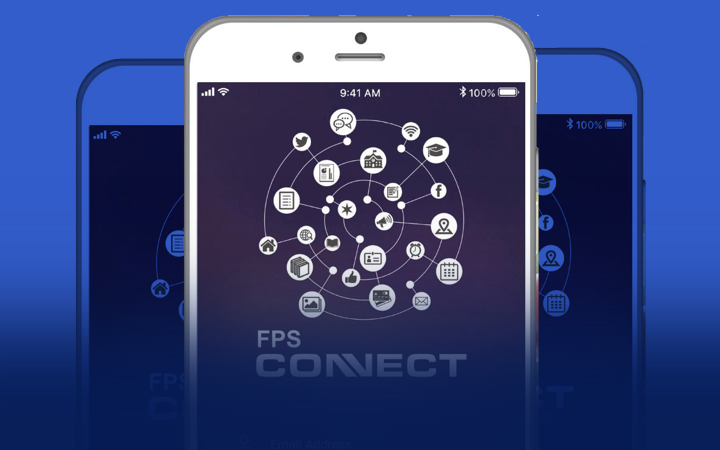 We highly encourage all parents to download the FPS Connect App on their phones and enable push notifications. 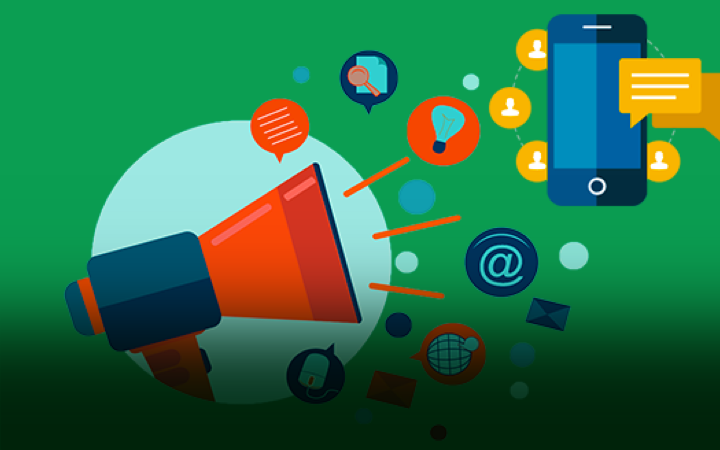 In the case of special announcements and emergencies, FPS may send an SMS to our parent community. 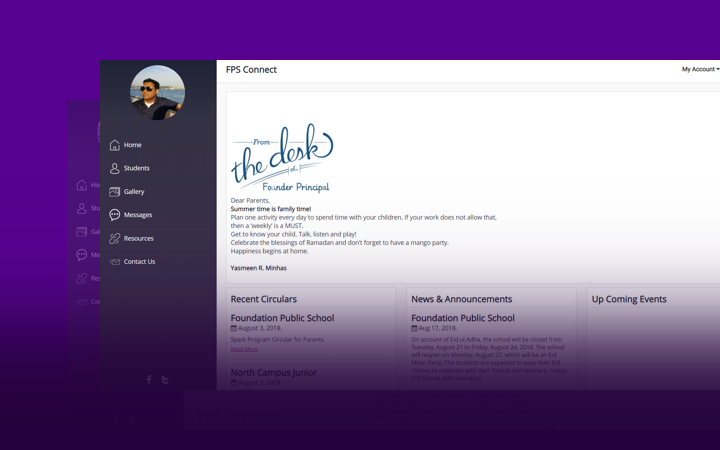 To ensure that you receive SMS from the school, please login to FPS Connect and update your parent profile with accurate contact information. The FPS Facebook page strives to keep the parents informed about all the events and activities in all our campuses. 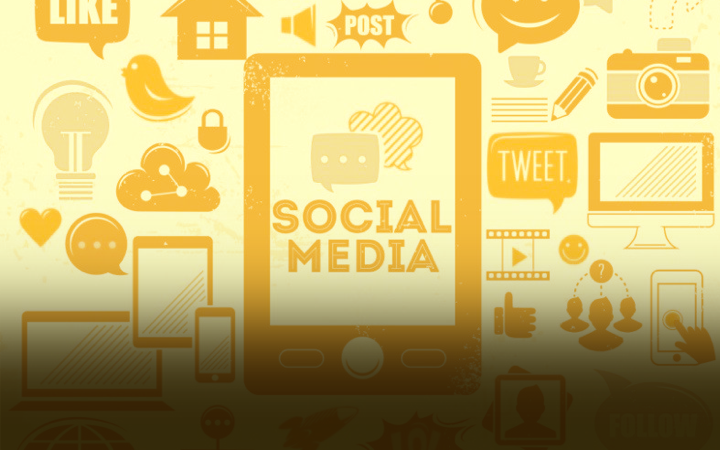 We regularly share information, news, event galleries and other achievements of our students, thus creating a diverse and active social media page. From time to time, the Facebook page may share important information regarding school holidays and closure as well. 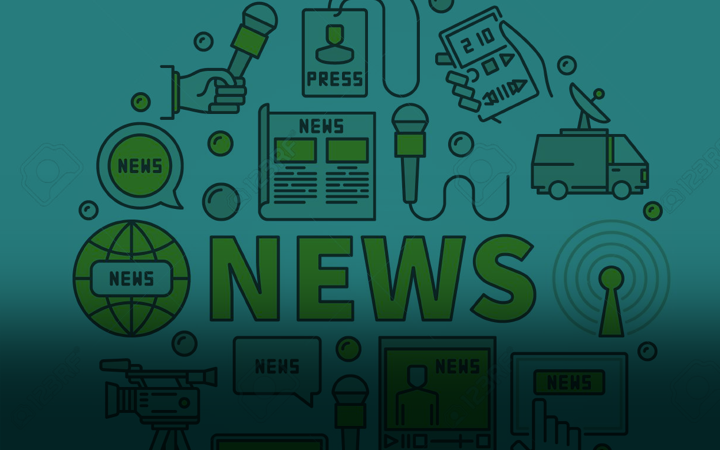 However, in order to view circulars and regular communication from the school, please refer to FPS Connect and the school website. We encourage all our parents and students to follow the Facebook page which can be found here. Parent-Teacher Meetings (PTM) are the cornerstone of FPS. PTMs are held twice a year, at the end of each term. At the PTM, parents receive feedback about their child’s academic performance and have the opportunity to meet all the class teachers and subject teachers of their child. Together, we help assess the strengths and weaknesses of your child that culminates in an action plan that best helps your child succeed. From time to time parents may receive special circulars from their respective building or school administration. Please ask your child to share school circulars as soon as they receive them. The aim of academic counseling is to assist students in their growth and development by constructing meaningful plans that are compatible with their academic and professional choices. Academic counseling is an essential part of the FPS experience, as we firmly believe in guiding, mentoring and counseling students every step of the way during their time here. Starting from Grade 9 all the way through Grade 11 our academic counselors meet with students and parents to create an action plan that helps students make academic choices and also assists in university placement. Academic counseling has enabled FPS students to receive admissions in the best universities in the world. School psychologists help children succeed academically, socially, and emotionally. They collaborate with educators and parents to create a safe, healthy and supportive learning environment for all students. FPS offers psychological counseling for students dealing with stress, anxiety, social problems, abuse, anger management, and family problems. Students may be referred to psychological services by their teacher or other school personnel, or they may make personal requests for services. Our Building Heads conduct annual, grade-wise forums for their students in which they discuss life skills training and age related concerns. These sessions help students become cognizant about themselves, their society and values. Topics vary at each grade level. 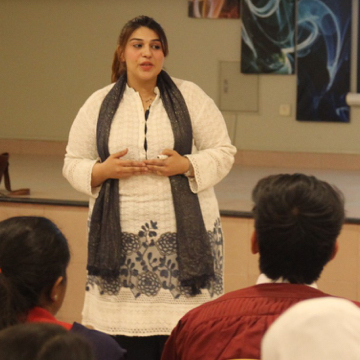 FPS is the only school in Karachi with a School of Parenting that is committed to educating and supporting parents in their efforts to foster confidence, responsibility, and compassion in their children. The School of Parenting inculcate parents with the personalized strategies for raising their children in this ever-changing world. 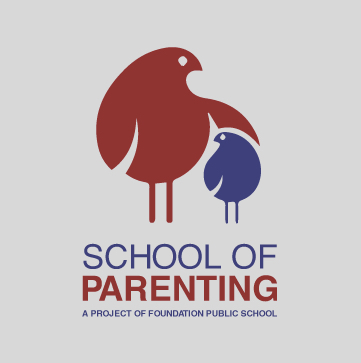 An initiative of the founder principal, Mrs. Yasmeen Minhas, the School of Parenting is a free of cost service to FPS parents. Sessions will be held every few months. Information will be posted on the FPS website when available. Every year at FPS, our students and faculty contribute to our in-house publications that are shared with our parent community. The annual calendar which features the creativity and art work of the FPS students, is published in the month of December. The calendar is usually shared with students and parents at the start of the second term. The FPS Newsletter is a bi-annual publication that is shared with parents in the month of December and May. The newsletter recaps the entire terms highlights and activities across all FPS campuses and also gives parents an exciting preview of the next term. The FPS magazine is an annual publication that is shared with parents and students in the month of May. Each campus publishes its own magazine that features essays, poetry, artwork, photography, stories, and other content that is submitted by the students. 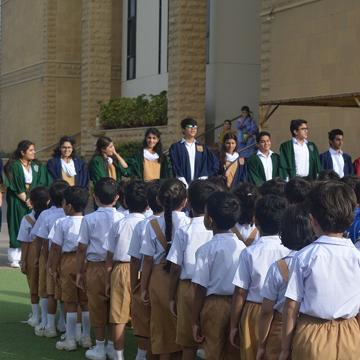 At FPS, the safety and security of our students is of paramount importance and we leave no stone unturned in ensuring the wellbeing of all the students. All FPS campuses are equipped with CCTV Cameras that cover all the entrances and exits to and from the building. Larger campuses also have CCTV Cameras in corridors and courtyards as well. FPS employs armed guards at all its campuses. FPS has made a significant investment in regularly training its guards in both weapons management and emergency situations.